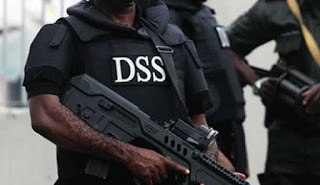 The Department of State Services (DSS) has alerted Nigerians on the need to look out for suspicious packages and strange persons within their communities ahead of and during the Eid-el-Fitr celebrations. The agency raised the concern on Friday in a statement by its spokesman, Mr Tony Opuiyo. Mr Opuiyo confirmed that the DSS had been availed of intelligence suggesting possible terror attacks by militants on selected locations across Nigeria. He said some locations of interest that could be targeted include parks and places of worship. The DSS spokesman affirmed the agency’s commitment to adopting strategies aimed at ensuring the security and safety of all law-abiding residents and citizens. He advised members of the public to be security conscious and report suspicious persons or activities to relevant security operatives.